Any appliance that tries to heat things using 12v power is going to take a while to get going. If you read the reviews of 12v blankets, you’ll soon see that they aren’t too useful. 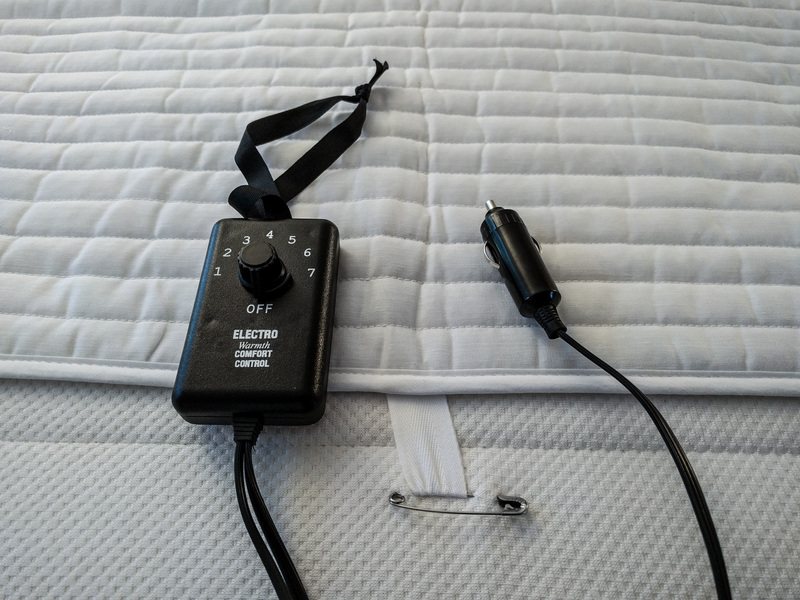 This Electrowarmth heated mattress pad is different. Because it is attached directly to the mattress underneath the sheets, and because it’s always covered by our duvet, none of the heat it produces is wasted. We turn it on full 20 minutes before we want to go to bed, then leave it on its minimum setting for a while after we’re in bed. The pad plugs in to a regular cigarette lighter outlet. It uses 6.2 amps on its highest setting, and 2 amps on its lowest setting, so for 20 minutes on high, then 40 minutes on low, that’s less than 4 amp-hours of power to warm the bed up. The pad is designed for a twin bed, but we’ve found it works great placed horizontally across our queen mattress where our torsos lie. Our duvet (down comforter) is a really good insulator. It retains the heat from the mattress pad, and our own body heat soon takes over. We have a memory foam mattress and that also seems to be a great insulator. That means we don’t need to run the mattress pad all night. However, it’s safe to do so if we want, because it’s pinned in place so it can’t ruck up and create hot spots, unlike the cheap 12v electric blankets. The only downside so far has been the price. $90 seems expensive compared to the electric blankets you can buy for less than $30. However, the mattress pad appears to be well made and the warmth it provides is really pleasant. Public Service Announcement: All the pictures of the mattress pad show it exposed. You’ll want it underneath your sheets so it stays clean. It can’t be machine washed. Also, if you followed the link to the duvet, you’ll see it shown without a cover. Don’t do that. 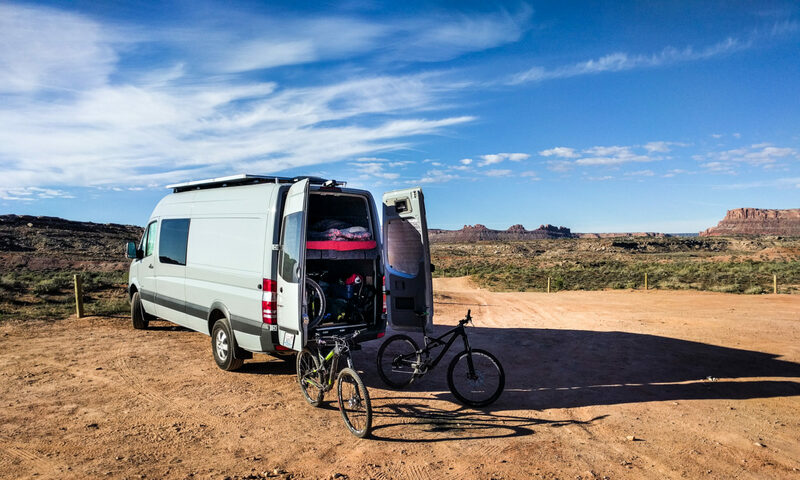 Van life can be dirty. Always use a duvet cover. I only see that mattress pad in a twin size. Is one enough for your whole bed or did you need one for each side? Seth, we use one twin size one. We put it sideways across the bed where our torsos lie. That’s plenty warm enough for us.